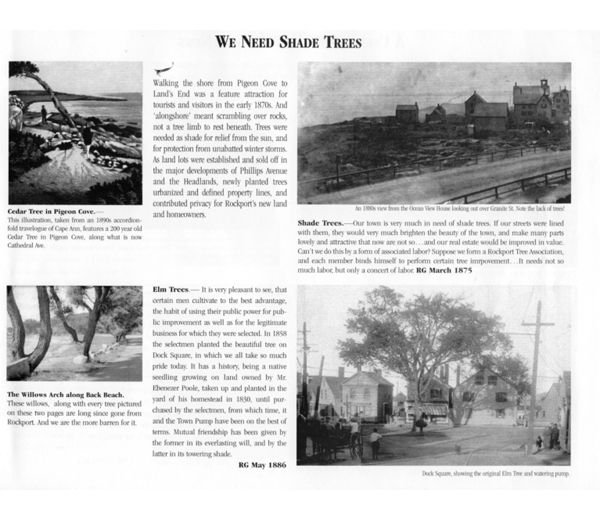 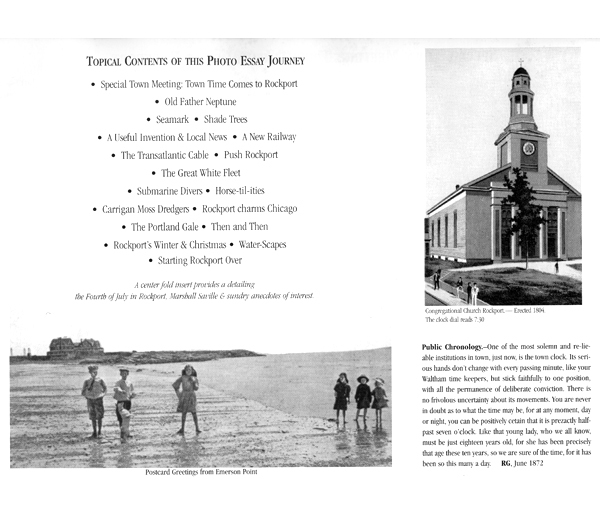 Table of Contents: Town Time Comes to Rockport, Old Father Neptune, Seamark, Shade Trees, A Useful Invention & Local News, A New Railway, The Transatlantic Cable, Push Rockport, The Great White Fleet, Submarine Divers, Horse-til-ities, Carrigan Moss Dredgers, Rockport Charms Chicago, The Portland Gale, Then and Then, Rockport's Winter & Christmas, Water-scapes, Starting Rockport Over Again. 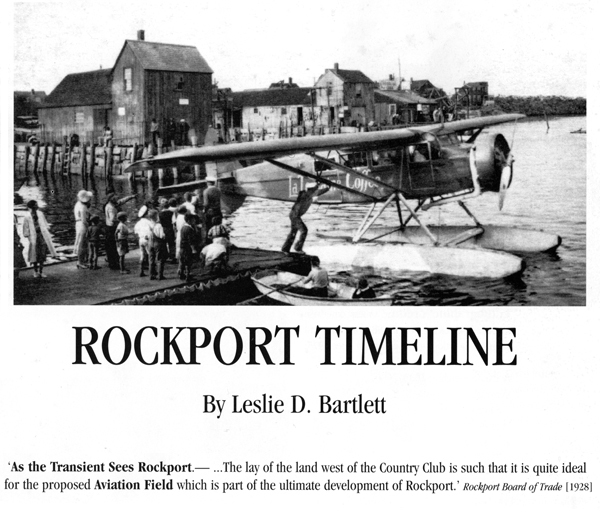 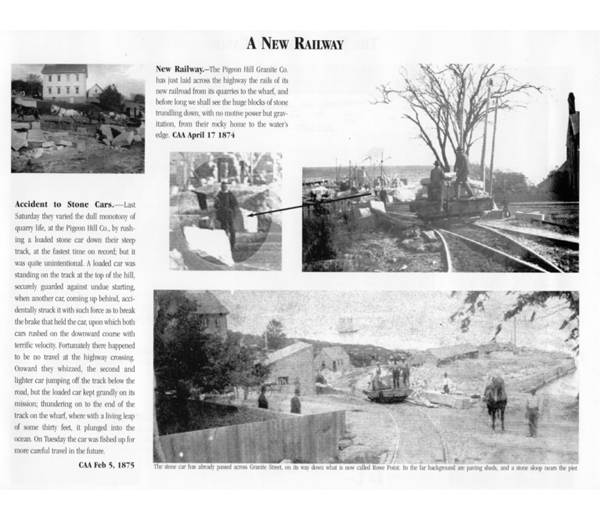 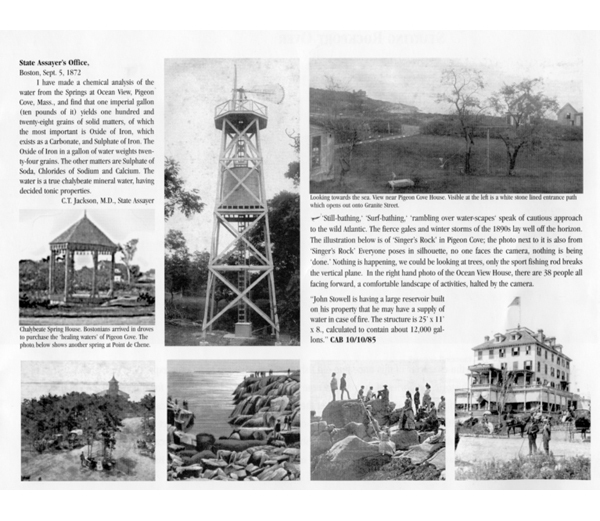 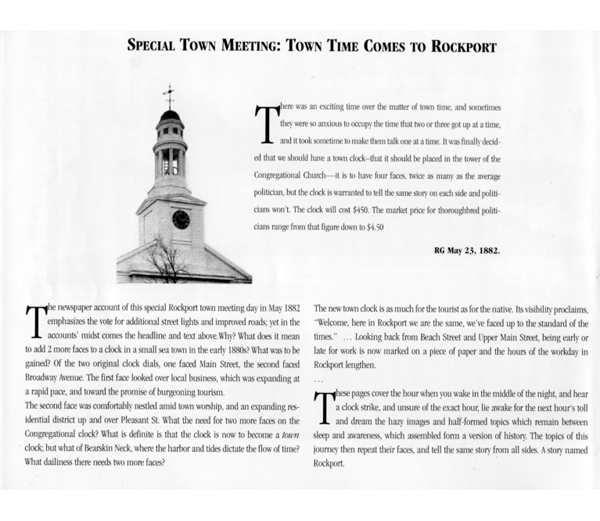 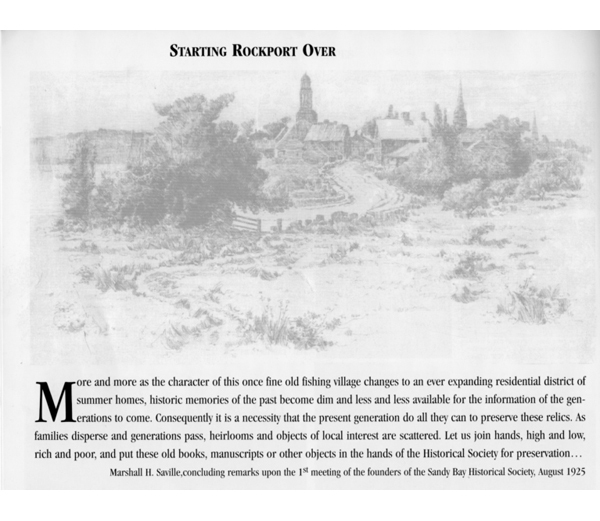 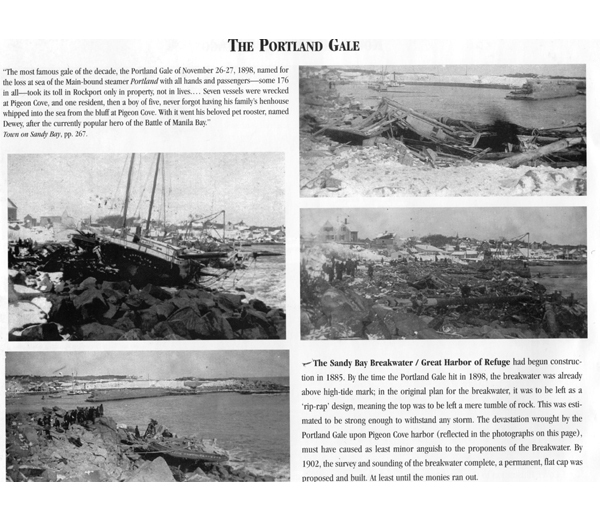 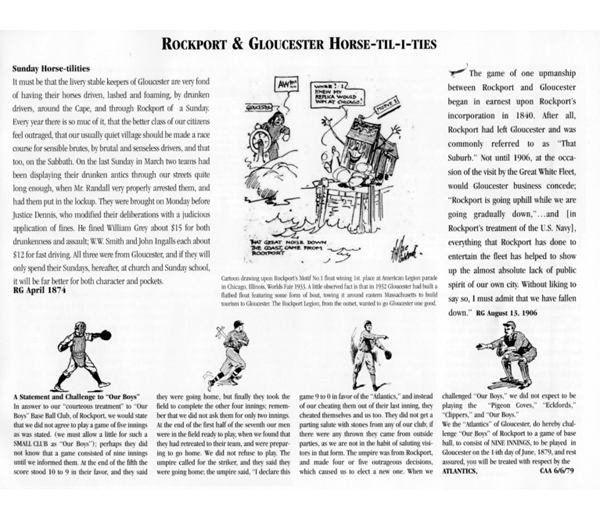 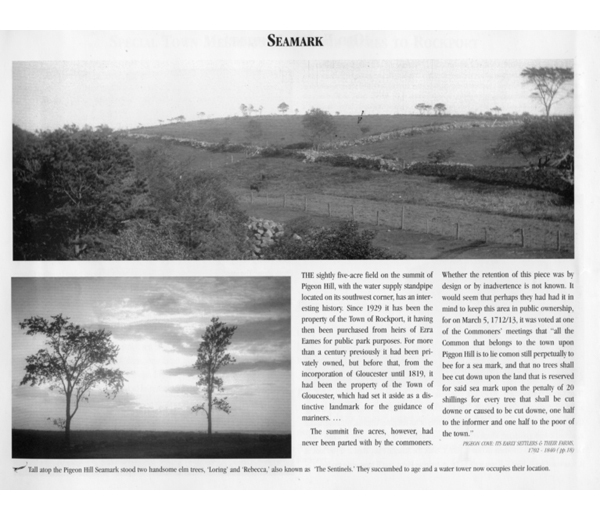 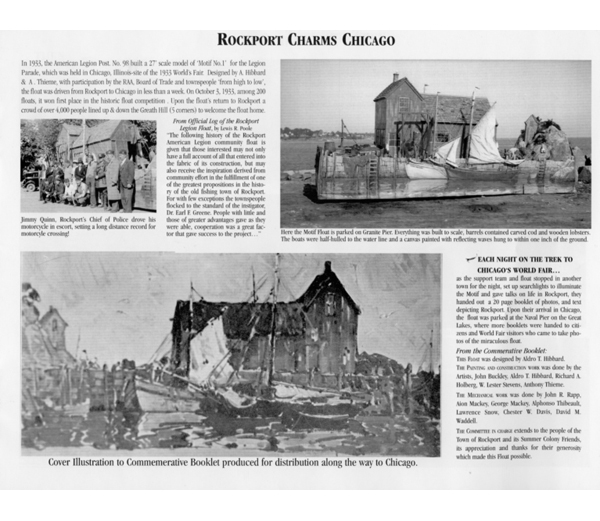 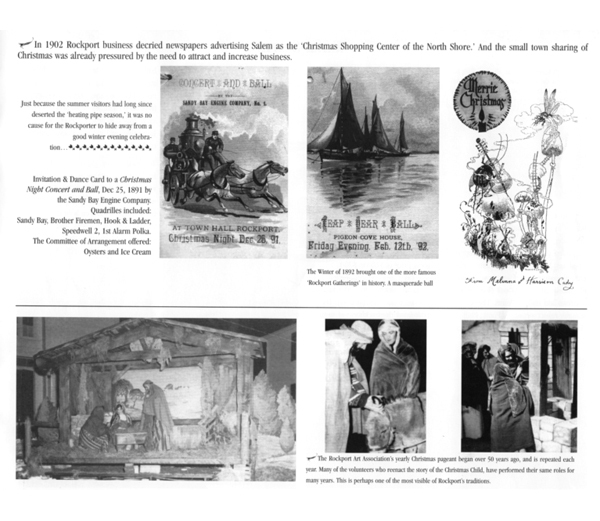 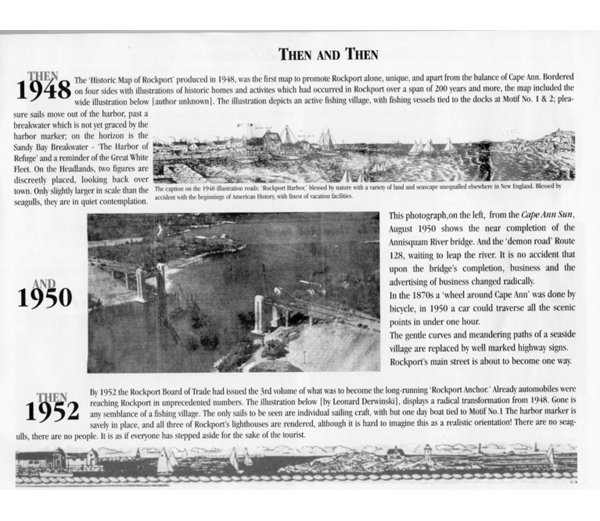 Description: 24 pages of historic black and white Rockport photos (most by Charles Cleaves), with text and commentary by Leslie D. Bartlett. 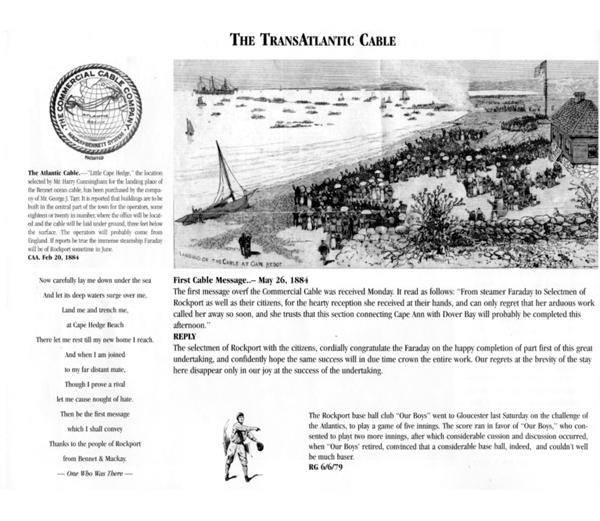 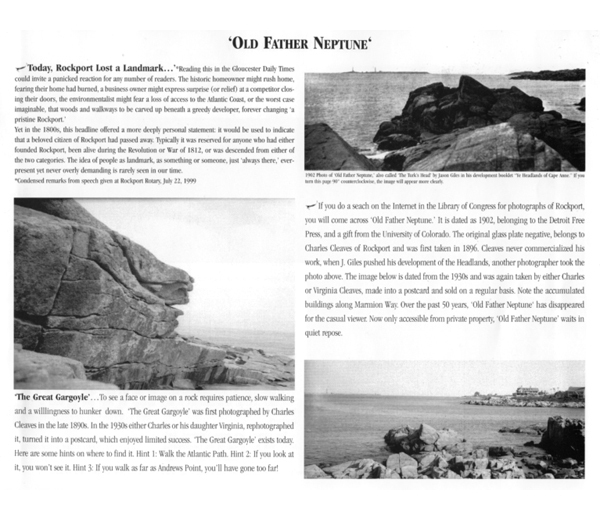 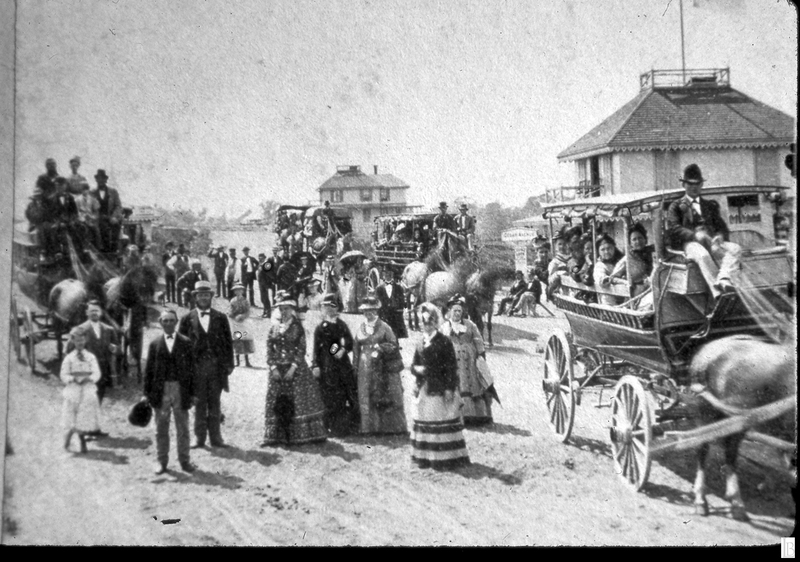 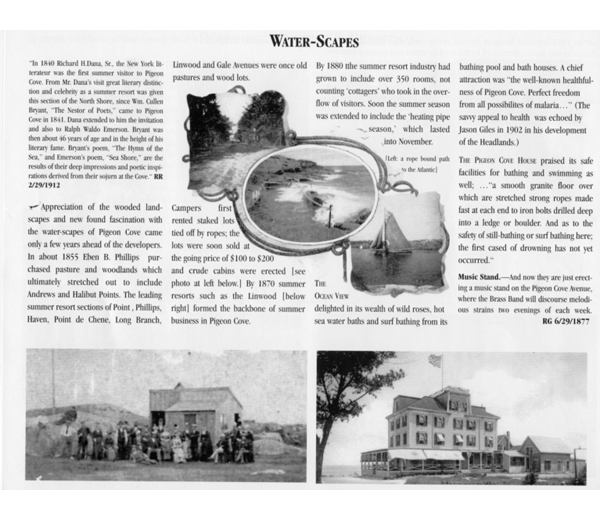 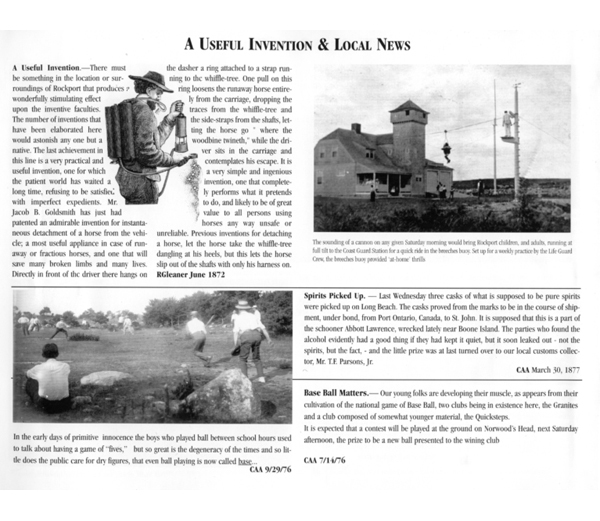 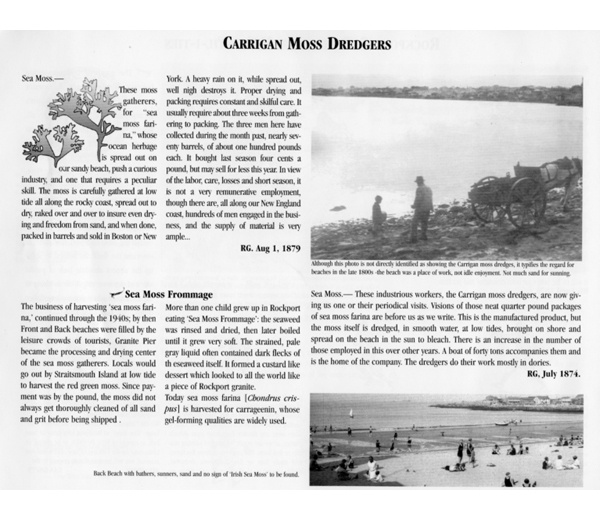 Anecdotal stories from Cape Ann newspapers of the 19th century offer a glimpse into life well before the Internet. 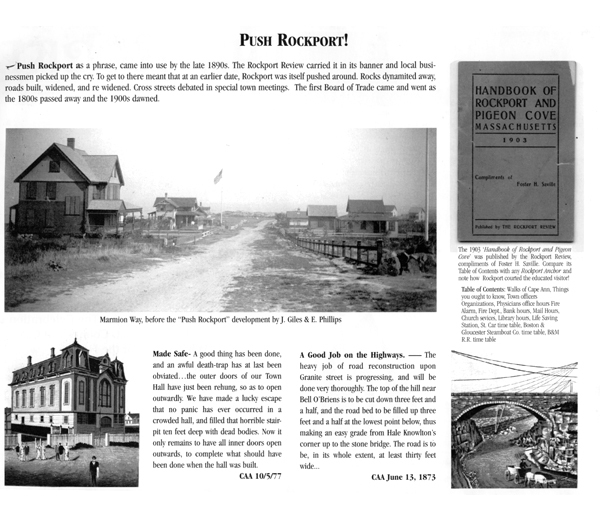 Available locally at Toad Hall Boookstore, Tuck's Candy & Dogtown Bookstore for $10.00 per copy. 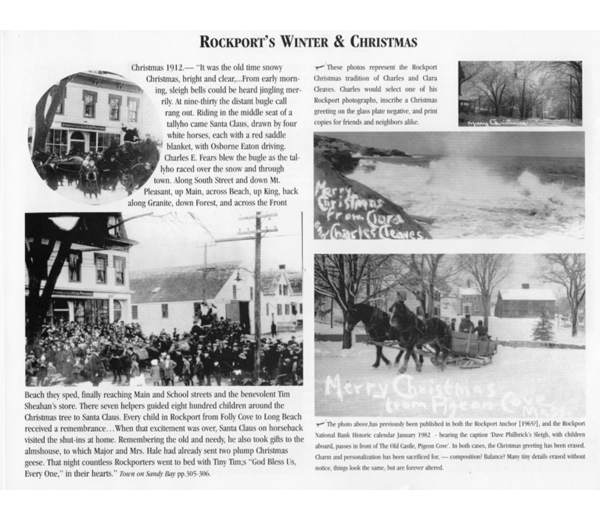 Order online here for $12.50 (includes shipping).